Do not give in to alarm or fatalism: Jesus has conquered the world. 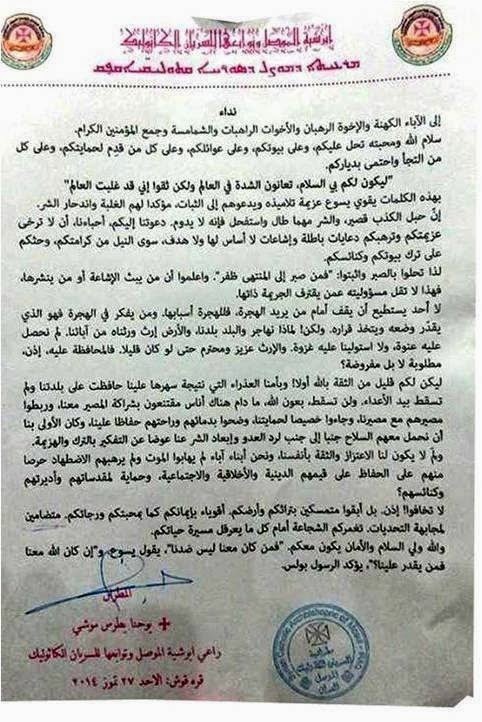 Due to the false videos, false rumors of destroyed churches, false rumors of invasion that cause great fear among an already frightened people, the Archbishop of Mosul (Syriac Catholic Church), published the following open letter. Father Wolfgang Buchmüller, DrTheol, is a distinguished member of the venerable Abbey of the Holy Cross (Heiligenkreuz), the famous Cistercian foundation near the Austrian capital, a place highly loved and admired by all serious Catholics -- he is also a Professor at the Abbey's world-renowned Benedict XVI College of Philosophy and Theology (Philosophisch-Theologischen Hochschule Benedikt XVI). A couple of months ago, Father Buchmüller was interviewed by the German opinion and news website Die Freie Welt on matters that should be our everyday concern -- truly matters that are never old or dependent on the interests of the moment. We are glad to be able to provide a translation of this interview. "Thinking Deeper -- This is What Believing Is"
Do faith and reason contradict each other? No, says Professor Wolfgang Buchmüller, O.Cist. Freie Welt spoke to him about science and the future of Catholic intellectuals. FW: Recently you argued strongly in favor of the Catholic intellectual. Could you briefly lay out your thought? Pater Wolfgang Buchmüller: In sociological research the refrain is that there’s no such thing as “the Catholic intellectual” anymore -- at the very least, no one wants to "out" oneself as Catholic. That’s dismal, because the Catholic Church is the largest religious community on the planet and possesses an immense potential. My concern is to show that, now as in the past, the question of faith is the great human question, and that immersing oneself in the fullness of the Catholic Church is incredibly enriching. FW: You have observed that in science, the question of God is obviously more frequently not regarded as completely absurd. Do you see a trend? WB: I was surprised that a scientist [mathematician Alain Connes] presented a lecture at the Institut de France, in which he dared to assert that the boundary between science and transcendence had become permeable. His discovery, which takes its lead from a German physicist in the nineties, is rather staggering: it confirms Einstein’s thesis that, in the world of quantum physics, we come upon a second form of eternity. 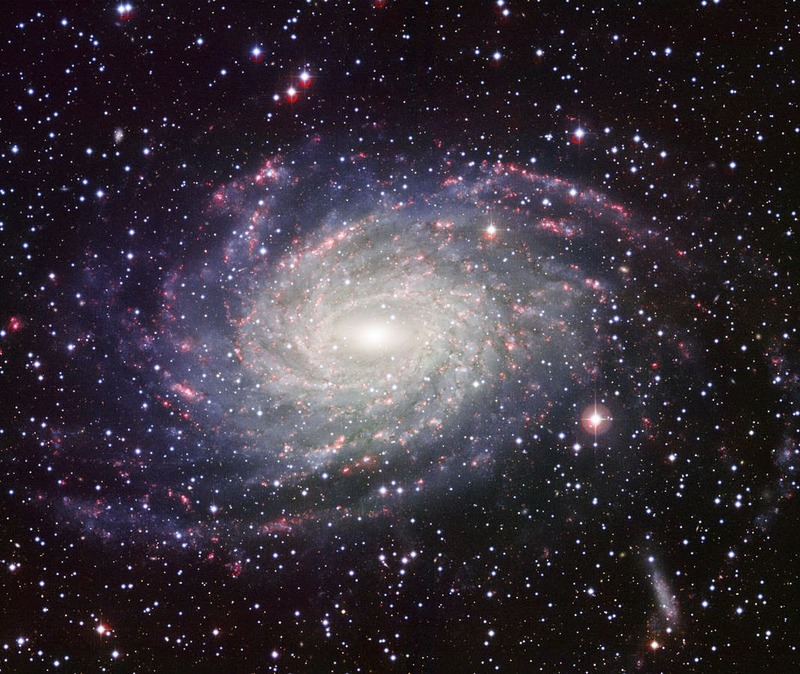 Thereby is raised the question of the Big Bang—of the beginning of all things. This question necessarily has religious implications, because the origin of all things must be of a wholly different order than things themselves. It must be immaterial and eternal, outside of time — which could be God. Yet, the really surprising thing about the conference is that this question was proposed to scientists without anyone making fun of it. This shows us how these superb scientists have reached the limits of measurable reality and are therefore forced to ask philosophical and religious questions. 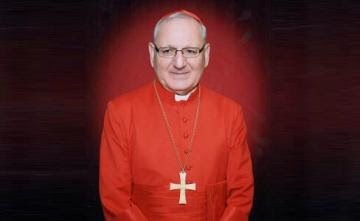 Do you all remember Cardinal Hummes? Yes, the Pope's greatest friend in the College of Cardinals, the Franciscan who inspired the papal name "Francis", the man who was right by the Pope's side in the loggia in the memorable evening of his election. As an emeritus, his influence is obviously a more understated one. If Jesus were alive today, would he be in favor of gay marriage? I don't know, I formulate no hypothesis on this. Who must answer this is the Church in its entirety. We must take care not to raise issues individually, because this ends up creating more difficulties for us to reach a valid conclusion. I think we must get together, listen to people, those who have an interest, the bishops. It is the Church that must indicate the ways, and there must be a way for all. "Franciscans of the Immaculate: ideas imposed by decree"
Some days ago, the Carabinieri arrived at the home of Francesco Colafemmina, one of the most assiduous Catholic writers on sacred art, with a summons for him and his wife on an apparently serious judiciary charge. It regards an accusation made by Father Alfonso Bruno of the Neo-Franciscans of the Immaculate, against the blog “Fides et Forma”, of which Colafemmina’s wife is the user-holder. Still I have no question that this new approach represents a shift in the way Vatican officials view the papal office—a shift that Pope Francis is doing everything that he can to encourage. The “old” approach treats the Pope like an 18th-century monarch, and suggests that when he is in the room, everyone else present pales into insignificance. The “new” approach treats the Pontiff as an ordinary human being ... .
By the senior religious correspondent of Italian daily La Stampa, the startling news: those responsible for the intervention of the Franciscans of the Immaculate, after silencing their innocent victims inside the Church, now use the Police to intimidate journalists and bloggers -- and their family members ! -- in Italy. 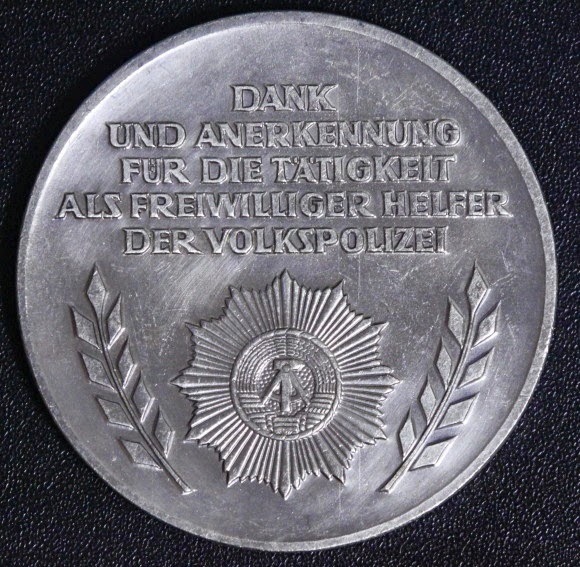 It is probably the most serious attempt by an ecclesial authority to make use of the police forces (and police that are members of the military forces) to limit the freedom of the press or public free speech by laymen in Italy in living memory -- the attempt is based on scraps of a couple of past posts, but the intent and likely result is obviously to intimidate and limit (even by the sheer weight and cost of litigation, and the fear of having family members summoned by the military or the police) the future activity of the media on covering some suspicious ecclesial activities. 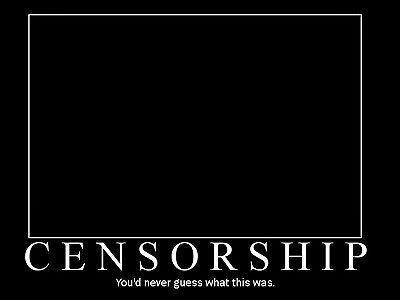 The end practical result is plain censorship. It is a shocking new chapter in the grotesque soap opera of the intervention in the Franciscans of the Immaculate. From the United States, we have been sent the text of a letter in which Francesco Colafemmina, the owner of a blog widely known and followed in the ecclesial camp, "Fides et Forma", tells his story: and that was being summoned, with his wife, by the Carabinieri [the Italian Gerdarmerie, the Carabinieri are the national military armed police corps and one of the four Armed Forces of the Italian military] following an accusation of defamation by Father Alfonso Bruno, the right-hand man of the Commissioner of the Franciscans of the Immaculate [Father Fidenzio Volpi]. This is Italy! This is the Vatican! The letter was in English, the translation is ours. A Brilliant Op-Ed: These are but the Signs of a Beginning. Secularism and the Fear of Islam, its Terrors and its Blackmail. Let's state the truth: how many here in Europe and in the West will truly care about the umpteenth massacre of Christians, blown up into the air yesterday in Kano, Nigeria, by the explosion of a bomb in a church? And besides how many truly cared at all about the Christians forced last week to abandon Mosul within 24 hours, under pain of death or forced conversion to Islam? No one. Just as no one has ever raised a peep for all Christians who have fled, by the hundreds of thousands throughout these years, Iraq, Syria, the entire Arab world. How many resolutions have Western nations presented at the United Nations regarding their fate? How many millions of dollars have they asked of the United Nations' agencies to allocate on their behalf? The slaughter has been going on for years, almost daily: by dozens and dozens, Christians are burned alive or slain in the churches of India, Pakistan, Egypt, Nigeria. Always in the silence, or anyway in the general inaction: what, for instance, has been truly been concretely done for the 276 Christian girls kidnapped some weeks ago, also in Nigeria, by the Jihadist Boko Haram group, guilty - nothing less! - of wishing to go to school, and therefore sent to a fate that is easy to fathom? The two main reasons for this vast indifference are obvious. The first is that we find increasingly hard to feel, and even more so call ourselves, Christian. It is not a matter of simple loss of faith, which also clearly counts. It is a question of what is behind it. A couple of centuries of critical secular thought, in particular its massive vulgarization/banalization made possible by the development of the mass media, have taken away from Christianity, to the eyes of most, the social-cultural dignity of the past. For some time now, being and calling onself Christian is not only not admired intellectually, but in many environments it is considered almost unacceptable. Yes, we must say it: fear. 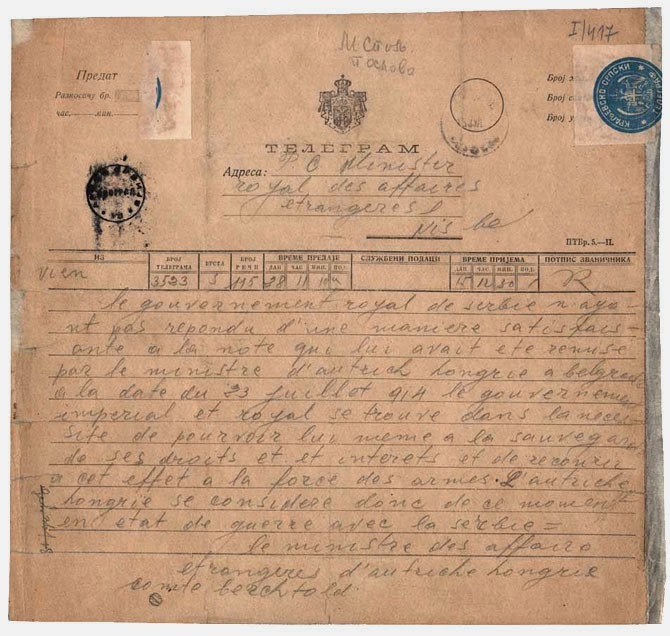 The telegram, in the universally recognized language of foreign affairs of the age, sent by the Austrian-Hungarian Minister of Foreign Affairs, and whose text had been personally approved by the Emperor in Bad Ischl, was received in several different locations of Serbia, including at the Royal Ministry of Foreign Affairs in Nis, Southern Serbia, to which several relevant Serbian ministries had already moved preemptively. It is almost unimaginable to see unfolding from this moment in an otherwise pleasant and warm summer day the unprecedented horrors, in cruelty and sheer numbers, of the century that was beginning in that instant: the millions of dead in the battlefields from East to West, the genocides (the first in Turkey the following year), Lenin arriving at the Finland Station, the Cheka, the Holodomor and the Gulag, Paracuellos de Jarama, Dachau and the Wannsee Conference, Auschwitz, Treblinka and Sobibor, the skeleton of the Urakami Cathedral and the Great Leap Forward, the Khmer Rouge, partitions, and civil wars, and ethnic cleansings, religious persecution beyond measure, upheavals even reaching our own days. It was July 28, 1914, early in the afternoon. 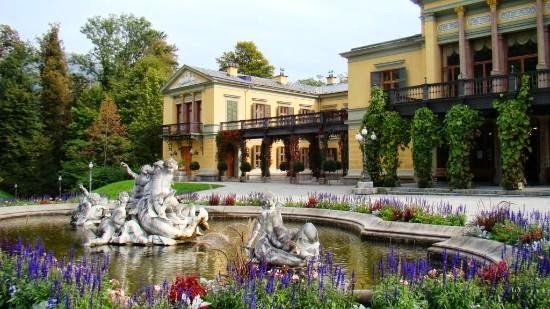 On Tuesday, July 28, 1914, in his summer residence, the "Kaiservilla" in Bad Ischl, Emperor Francis Joseph signed the declaration of war to the Kingdom of Serbia and the manifesto to his peoples presenting his motivations, transcribed below. The telegram declaring a state of war to be sent by the Minister of Foreign Affairs of the Dual Monarchy to Serbia was also approved by the Emperor on that occasion and was received by the Serbian Government and High Command at 1300 (1 p.m.) of the same day. It was the first day of the Great War. He left Ischl for Vienna on the following day -- never to return. His I[mperial] and R[oyal] Apostolic Majesty has graciously deigned to proclaim the following Manifesto and Rescript. I have resolved to instruct the Ministers of my Household and Foreign Affairs to notify the Royal Serbian Government of the beginning of a state of war between the Monarchy and Serbia. In this fateful hour I feel the need of turning to my beloved peoples. I command you, therefore, to publish the enclosed manifesto. Let’s face it: if there is a king, the court cannot be suppressed. Even if he is a king like Pope Francis who says he doesn’t want any signs of regality. Still, the court exists (and how! ), even if we will avoid naming names, at least on this occasion. On which we wish to discuss demagoguery and square meters. 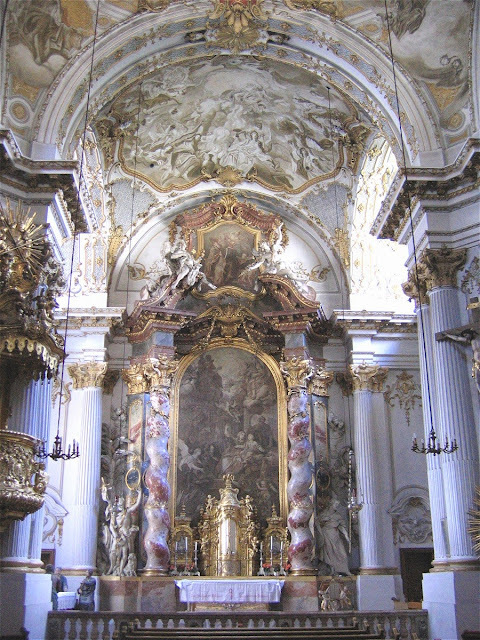 Since Catholic Leaders aren't Clear, "Evangelicals" respond: "We're completely different, we hate your 'Imperial Church': Please, Keep Out"
In Italy, as elsewhere, the Protestant movement is divided into two large groups: the mainstream, "historic" communities, in clear decline, which in that country include most notably the Waldensians; and the several "Evangelical", Pentecostal, and neo-Pentecostal groups which are vibrant, especially among groups of immigrants, though less vibrant than in other nations. After Vatican II, the Catholic Church has held expensive and continuous "ecumenical dialogue" with the first group, with no true practical result other than declarations that do not satisfy Catholics (see) nor Protestants (see also); while the "Evangelicals" mostly ignore any ecumenical proximity, and ravages produced by Pentecostals in the Catholic flock, particularly in Latin America, have met with Catholic indifference. The current Pope has been approached by a small group of individual "Evangelical" leaders, most of them party to the disturbing, anti-traditional, and anti-Franciscan "Prosperity Gospel" view of the Bible, and has contacted some as well. On Monday, he will meet a friend who is an Evangelical minister in Caserta, near Naples (which he is also visiting today, in their patronal feast of Saint Anne, more as a result of embarrassment than anything else). "GENOCIDE in Iraq ! Where is the Administration? Where is this Congress?!" Thank you, Congressman Frank Wolf, for this stirring brave speech in defense of the most defenseless. You may be alone in a Washington that is obviously adrift, you are not alone in the world. So, then, no other men in Washington? Is that it? "An Appeal for the Christians of the Middle East"
French elected officials lead the way: will those elsewhere follow suit, or remain silent? 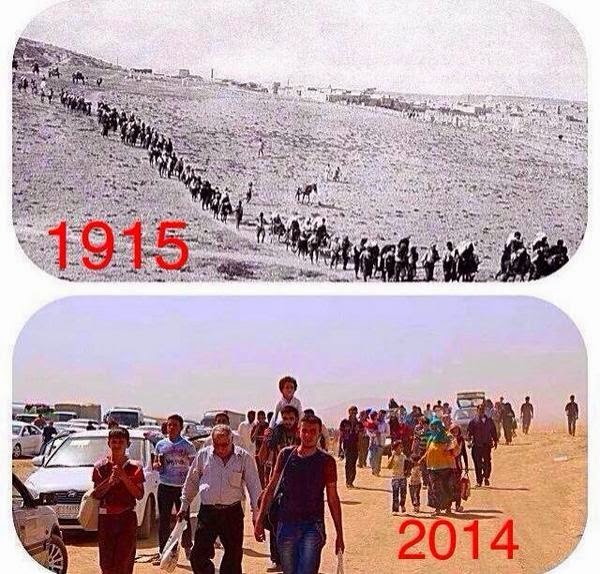 As in Turkey in 1915, a Christian Genocide is happening once again. France has had a tradition of defending the Christian minorities of the Middle East since the time of the Crusades and the first agreement of King Francis I with the Turkish sultan. Its silence when faced with the genocide is therefore even more preposterous. The accusations made below by French elected officials against the French government are the same that can be made against all Western governments. Protests will take place tomorrow in London and Paris, and elsewhere. But the involvement of elected officials is essential. May the example of the Twenty elected officials below inspire many more in America, Britain, and around the world. Speak up! There is no way to go forward if first we don't speak up. Silence, We are Eliminating Them! "THE RECONCILER: ending the great equivocation on Vatican II"
- In age of no dogmas, why should Spirit of Vatican II be the only one? Historian sees merit in Pope Francis for having reopened the debate on Vatican II: in order for it to emerge from the Great Equivocation. Was the Second Vatican Council a council that was “betrayed”? By whom? It is a pertinent question, following the publication of Instrumentum Laboris, the Vatican document that will lead the discussion in the upcoming Synod on the Family. The texts cited by Instrumentum Laboris are in fact, only from the Council or post-council, almost as if a radical shift has occurred in the magisterium of the Church since the 1960s on the theme of the family which is of crucial importance today. The Bologna School has no doubts: there had been this theological and pastoral shift , but Paul VI stifled the incentive. All of the regrets of “The History of Vatican Council II”, written by Giuseppe Alberigo, are staked on the contrast between the “prophet”, John XXIII, who inaugurated the “new Pentecost” in the Church, and the icy John Baptist Montini who ditched it. Behind this historical reading of Vatican II and now re-proposed by Alberigo’s followers, Alberto Melloni, Giuseppe Ruggieri and Massimo Faggioli, is the innovative theology of Marie-Dominique Chenu, Yves Congar and most of all, Karl Rahner. Up to 1965, during the last weeks of the final session, at a conference entitled “The Council: the beginning of a beginning” , the German Jesuit, presented Vatican II as the beginning of a new era in the history of the Church, destined to renovate the community of believers, in an analogous manner to what had happened at the First Council of Jerusalem. Paul VI had betrayed the Council with the Nota praevia in 1964, in which he wanted to limit the significance of collegiality introduced by Lumen Gentium but most of all [he betrayed it]with the “repressive” encyclical Humanae Vitae in 1968. The controversies that followed Humanae Vitae created the first great hermeneutical rupture among the protagonists of Vatican II. In 1972 the international journal Communio was founded by Joseph Ratzinger, Hans Urs von Balthasar and Henri de Lubac, and it opposed Concilium in which Karl Rahner, Yves Congar,and Edward Schillebeecks wrote. It was de Lubac who coined the expression “para- council” to condemn that atmosphere of feverish agitation in the years following Vatican II brought on by many theologians to force their conclusions [ideas, interpretations]. In a long interview granted to Angelo Scola in 1985 (“Journey into the Council” Supplement to no. 10, 1985, 30 Giorni, pages 6-30), De Lubac described the “para-council” as a movement of pressure from the media which had intended to influence the Council and post-council on themes such as the primacy of the pontiff and the relationship of the Church with the world. The same year, Hans Urs von Balthasar, who in 1962 had suggested “Knocking Down The Bastions”(his book, Boria, Turin 2008) in an interview from the same magazine, 30 Giorni, (“Journey into the Post-Council by A. Scola, Edit. Milan 1985), protested that all the expectations of the council had dissolved into “American optimism”. The site Papalepapale recently re-published an interview given to Vittorio Messori by Balthasar in which the German theologian sustained that ‘dialogue’ had shown itself to be “a chimera” and affirmed the necessity of returning to sound doctrine and “to the Tridentine model” of the seminary. Santiago, protector of Christians, protect us this day from the enemies of the Church. Dufay wrote this startlingly beautiful Motet (c. 1426-1428) in honor of Saint James for his friend Fr. Robert Auclou, or Aclou, secretary to his master at the time, French Cardinal Louis Aleman, during the latter's time as papally-appointed Governor of Bologna. Aleman's personal church in Bologna was none other than the brand new Basilica of Saint James the Greater (San Giacomo Maggiore), hence the famous Missa Sancti Iacobi as well as this motet -- and the play of words (cf. text at the end of post, read acrostic from top to bottom) Robert Auclou Saint James' Curate (ROBERTVS ACLOV CVRATVS SANCTI IACOBI). The organisers of the Summorum Pontificum Pilgrimage to Rome, which is taking place October 23-26, 2014, have asked me to draw attention to details, below, for the benefit of pilgrims from Australia. It was announced earlier on this blog here. Nearly 3000-year-old relics and archaeological treasures, the spiritual treasure of the Assyrian people under the mosque turned into dust. This piece is from the column that Italian Catholic author Alessandro Gnocchi writes for Italian traditional Catholic website Riscossa Cristiana every Tuesday. Gnocchi responds to questions that readers send him. The following is his response to someone who asked about Bishop Nunzio Galantino (Secretary General of the Italian Conference of Bishops - CEI) and his remarks about the“expressionless faces” of those who recite the Rosary outside of clinics where abortions are performed. Gnocchi’s response goes beyond Galantino’s foolish and typically pompous remarks and his subsequent denial/explanation of what he meant. Gnocchi points out that there is a definite pattern at work here, one which is essentially anti-dogmatic. I begin by saying that in response to your last question (“what can we do?”), all I can say is: nothing. We can do nothing because we find ourselves in the presence of superficiality, of verbal diarrhea, of scorning other people’s intelligence, or a lack of intelligence in the person speaking. Or even better, there is a bit of all of this, because the quality of the actors on the stage is truly very thin. But that is secondary, in so far as the seesaw game of statements and denials corresponds to a precise strategy that I try to explain in an image that may seem banal: it is the strategy of the piece of metal wire. 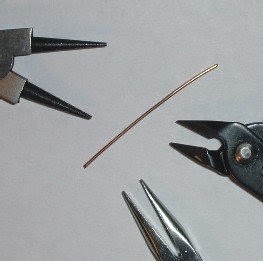 To break a piece of wire, dear Summa, you have to twist it continually in opposite directions. This is the purpose of all those who apply this strategy in politics, either by themselves, making statements and then denying them, or with the complicity of fake adversaries who maintain the contrary. The purpose, in every case, is always the same: to break apart the organism, the institution, the bonds holding together whatever is being worked over. 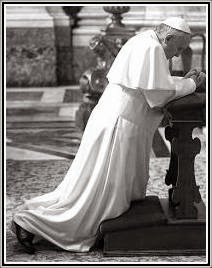 A stern Messori on the Pope, Scalfari, Vatican Denials, and equivocations on Priestly celibacy: “We must pray for them”. 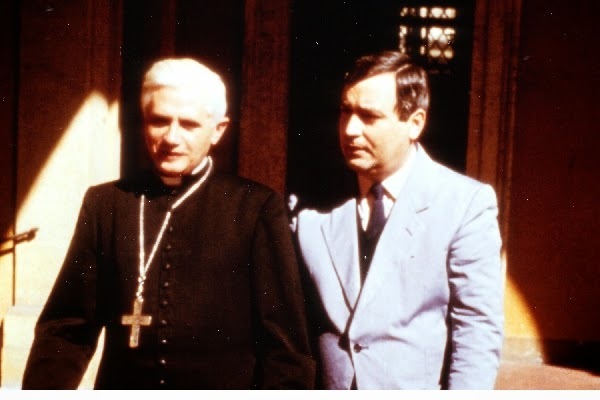 the landmark book "The Ratzinger Report"
The latest controversial “interview” given by Pope Francis to Eugenio Scalfari, published in La Repubblica on July 13, has provoked what is by now a ritual of refutations/denials by the Vatican. In this conversation, the Pope seemed, among other things, to have maintained that “celibacy was established in the tenth century, that is, 900 years after the death of our Lord”, as if he wanted to lessen its importance and to put it into the category of discipline rather than theology. And in fact he allegedly added: “The Eastern Catholic church has had the authority right to the present time to have priest get married”. As for the future, Francis is said to have declared that “the problem certainly exists but there are solutions to it and I will find them.” But are these words really part of the conversation between the Pope and Scalfari? We asked this question to the journalist and writer Vittorio Messori. Did you read the interview given by Pope Francis to Eugenio Scalfari in La Repubblica on July 13? M: Of course. Given the thicket of denials and refutations, what we have to figure out is how much is the work of Scalfari and how much of Bergoglio. This is not the first time that Scalfari has shown imagination. Last year he maintained that ‘just a few days before, the Jesuit Bergoglio had finally beatified the founder of the Order, Saint Ignatius of Loyola’. He was wrong by just four centuries. 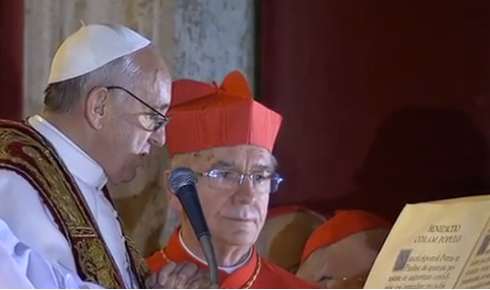 M: I would not presume to give lessons to a Pope! But I have examined the problem from an historical perspective some years ago. The facts of the matter are not what was said. Abstention from marriage is traceable back to Apostolic times. But Saint Peter was married. ...Monsignore Cesare Nosiglia, the Archbishop of Turin, Italy, for the most adulatory Ramadan or Eid-al-Fitr greeting card or letter ever published south of the Alps. Or north of them. When sending greetings to members of another faith, there is courtesy and politeness, when circumstances absolutely demand the greeting. Then there is flattery. And then there is just plain sycophancy. Islam is not a religion of "nice". Islam is a religion of Law and Power. Law, Polity, Faith are inseparable, and the faithful Muslim is (and in this he should be praised for acting upon what he wrongly believes) always seeking the accomplishment of the three realities in one, whenever circumstances allow them. The following displaced Christian woman, interviewed by Assyrian-owned Ishtar TV this week shows this well. Remember that her family has been in what is now Northern Iraq forever, that there were Christians in her city of Mosul (Nineveh) certainly days or weeks after Pentecost, Jewish or Proselyte pilgrims who had been in Jerusalem for the Feast of Shavuot and, probably by way of Damascus, returned to their land filled with the Spirit and the Good News of the Resurrected Messiah. Then, six centuries later came the invading Arab hordes and, with time and pressure, and new populations, a Christian population became a Muslim-majority population. 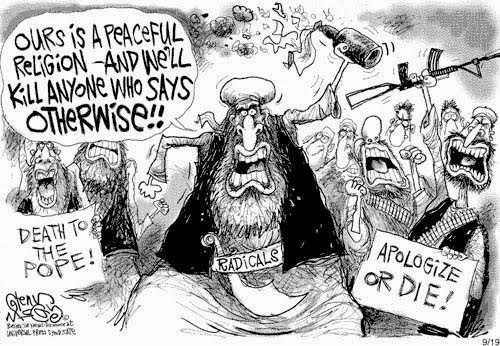 The members of the religion of Mohammed can sense more than any other adherent of any faith the weakness in others. It is not due to any inherent evil in them as human beings (they are as noble and precious and as unworthy of the redemption bought by the Blood of Our Lord Jesus Christ as any human being); it is, as we said above, the way the structure Polity-Law-Creed that is their faith functions. When they sense they can advance, they will. Therefore, a polite greeting can be interpreted as mere courtesy. But bishops in particular, who are the leaders of the Catholic faithful and who are, for this reason, usually treated as the political leaders of Christian minorities in Muslim lands (because that is the way Muslims view matters), must be careful not to send messages of lavish adulation, which are rightly interpreted by most Muslims as submission -- which is, after all, the very name of Islam. So, yes, by all means, dear Lord Bishops, if you wish to be courteous, limit yourselves to greeting cards with a couple of words. More than that, and, even if you are not aware of it, you are calling for much, much more than you can handle. Published in Archdiocesan weekly “La Voce del Popolo” (The Voice of the People), edition of the upcoming Sunday, July 27, 2014, the letter of greetings from the Archbishop addressed to the Muslims resident in the territory of the diocese of Turin, on the occasion of the celebrations for the conclusion of the Ramadan fast at the end of July. The entire text is attached, as consigned in original copy to the Islamic cultural centers of Turin (with mosques attached) by the parish priests of the respective territorial areas. Vienna had received on July 6 the "blank cheque" (Blankoscheck) from Berlin, and, on July 23, 1914, the ultimatum related to the aftermath of the assassination of Archduke Franz Ferdinand and his consort was delivered to Belgrade -- exactly 100 years ago today. 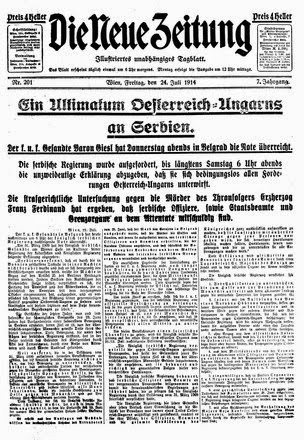 The ultimatum had been drafted in such a way that it would be impossible for any honorable nation to accept it, and Serbia had until Saturday, July 25, 1914, at 6 p.m. to accept it, or risk war. At this moment, the mechanism that would trigger the war was almost in place but, incredibly, Russia and the British Government prevailed upon Serbia to practically accept all of the ultimatum's demands, except for a minor detail. In France, the secularist elite had alienated the Catholic majority of the population (that was in those days with their eyes fixed in Lourdes for the 25th International Eucharistic Congress, held from July 20 to July 25), and the country was still divided in half right before the conflict. In any event, with the systemic failure of the elites of some (not all!) of these countries avid for war, even the late-moment efforts for peace failed, and the localized affair became a general European conflagration in just a matter of days. The following short documentary by the United States Conference of Catholic Bishops' Catholic News Service on all aspects surrounding World War I, from its origins to its consequences, is a little web jewel, because in a very short time (under 20 minutes) and with the help of historians such as Christopher Clark, Margaret MacMillan, David Berlinski and the great Roberto de Mattei, it shows what Europe was and what Europe became. "We your shepherds will stay with you to the end." "Our suffering will be salvation to us and others." I’ll start my speech by the Word of Christ, as His Word is the source of strength and salvation of us, the poor of this lost world: "There is no need to be afraid, little flock" (Luke 12:32). Our present pain is associated with our Christianity and with the mystery of our Passover (i.e., Easter). Our suffering, if joined to the suffering of our Savior Jesus, "Man of Sorrows", will turn out to be a blessing and salvation to us and to others. 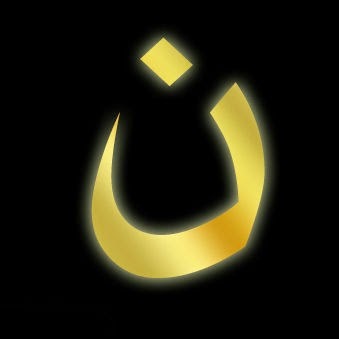 Why the Global Conspiracy of Silence on Persecution of Christians in Iraq? It is to the greatest honor of Le Figaro, by far the largest and oldest national French daily, that it becomes this Wednesday the first major world newspaper to put on its front page and as its main headline the persecution of Christians in Iraq: "The Calvary of the Christians of Iraq"..
Also on its front page, the main editorial for today, "Silence, on persécute!" (Silence, We are Persecuting! ), a dire direct accusation of the accomplices of this genocide, those in silence throughout the West, beginning with the media, a public opinion always prone to demonstrations (but not this time! ), and in particular the governments of nations whose populations are mostly Christian at least in name. Silence, We are Persecuting ! It is a day, we believe, chosen wisely by that Fraternity: we please upon all our Catholic brethren, East and West, attached to the Ordinary Form (Mass of Paul VI) or to the Extraordinary Form (Ancient Mass), whatever their theological bent, to join this worldwide prayer day. Whether you consider yourself a more liberal, conservative, traditional, or just plain Catholic, let us join together in this worldwide Adoration of Our Lord Jesus Christ, together with all the Angels and Saints. It is also appropriately chosen because Pastors and Chaplains will have 10 days to prepare properly, to contact projects that help Christians in need and collect all kinds of contributions for the Christians of the Middle East (from Aid to the Church in Need to CNEWA, the Syrian and Chaldean Catholic Churches, and other organizations), and, in particular, to add to their bulletins and convey to their congregations how to participate next Sunday, July 27. Please, spread this initiative around. No need to link to us, or to even mention you saw it here -- just copy, paste, and just let this idea spread around throughout the world, through the web, through social networks, to your family and friends. September 25th this year will be the tenth anniversary of the death of one of the giants of the Traditional movement, Michael Davies. With the support of the Latin Mass Society, a conference has been organised to mark the occasion, to take place on Saturday 4th October. It will take place in the church hall (basement) of St Mary Moorfield, a beautiful and historic church in central London, and will conclude with a Traditional High Mass of Requiem in the church. The conference will be chaired by Michael's son, Adrian Davies. The speakers are Dr John Rao, Chris Ferrara, Michael Matt, and James Bogle, President of the International Federation Una Voce (FIUV). Tickets are just £15. Full details and booking form can be found here. The influence of Michael Davies was and continues to be immense. 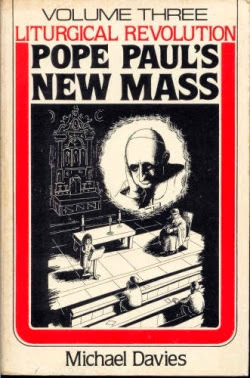 His numerous books, especially 'Pope John's Council' and 'Pope Paul's New Mass', introduce many to the Traditional Catholic approach to the crisis in the Church. Unfailingly fair-minded and orthodox, they set out the issues with great precision and clarity, and even a decade after the author's death are highly recommended. To see a selection of his books on sale see here (new) and here (Amazon, mostly used). There are a good number of downloadable talks by him here and here. As well as his books, Michael was active on the Committee of the Latin Mass Society, and as President of the International Federation Una Voce. 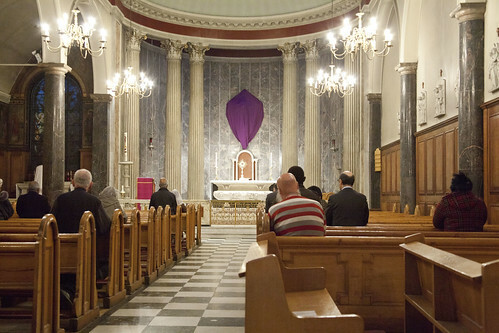 The interior of St Mary Moorfield, in Passiontide (before the start of Tenebrae) this year. A multitude of customs and traditions were lost in the second half of the twentieth century. 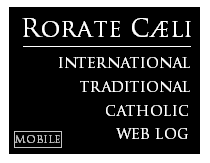 The 1962 calendar today marks the third class feast of Saint Mary Magdalene, penitent, which the novus ordo calendar calls a "memorial" for Saint Mary Magdalene with no title after her name (unlike other saints' days). The 1969 missal also changed the Gospel of the Mass to remove the penitent woman references in Saint Luke's seventh chapter, verses 36-50, which concludes with our Lord proclaiming: "Thy faith has made thee safe; go in peace." There are times (usually in the summer) when it happens that no one else is available to serve the traditional Latin Mass and I have the opportunity to don cassock and surplice. It is hard to describe my feelings on these occasions. Normally my perch is either up in the choir loft directing the schola or down in the pews following along in a missal. 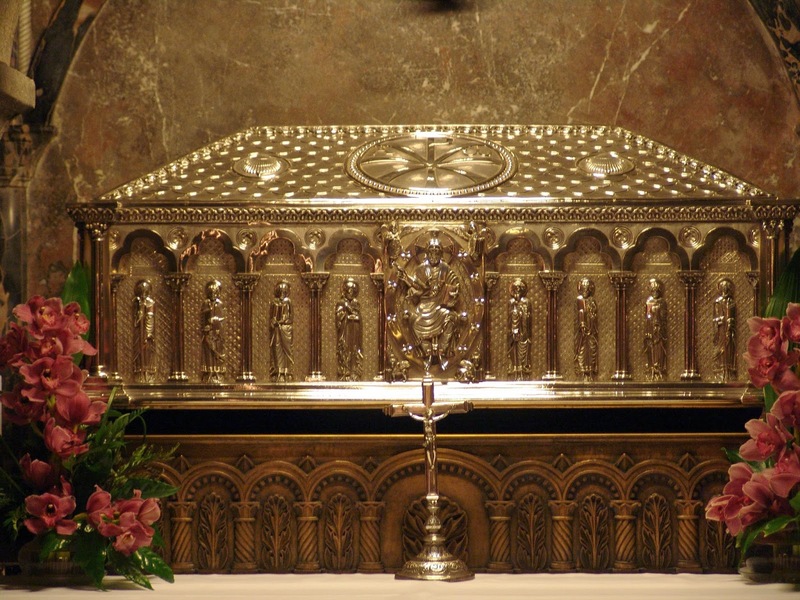 I do not often have the opportunity to see the Mass “close up” like this, and it always moves me—not to mention the fact that kneeling for so long on marble, keeping my back straight, is a good penance. One thing that struck me this summer as I served a number of Masses is the immense beauty of the priest saying the “Secret” prayer silently—and since this is an example of a practice that liturgists in the middle of the 20th century assumed ought to be changed (and so it was changed in the Novus Ordo), it seems worthwhile to ponder it more carefully, lest we make the same mistake with some future edition of the traditional Missale Romanum. At first, it bothered me that, whenever I was serving, I could not know what the priest was praying in the Secret, unless I remembered to look it up before or after Mass. But as time went on, the thick silence of that particular prayer, right before the great offering of the sacrifice (and at a moment when the Novus Ordo has habituated me to expect to hear something), made me realize with a new vividness how the Mass is a prayer directed to God first and foremost, to such an extent that my hearing and following of this prayer is secondary. The priest was not addressing it to me, but to God—and as I experienced this orientation of the prayer, it humbled me, focused me, purified me of some subtle remnant of self-interest that would take offense at not understanding everything. “It is good to hide the secret of a king” (Tobias 12:7). Now, I know some of you are thinking: “Wait a minute, St. Thomas Aquinas says that we worship God not for His sake, since He gains nothing from our prayers, but for our sake, that we may be perfected by ordering ourselves to Him. And so it is crucial that we understand what we are saying; otherwise, why not have the entire Mass be a completely silent act of adoration culminating in communion? Surely, things are said aloud in order to be grasped by us, since God has no need of our words.” Not surprisingly, I agree with this point; I would never say that we should have no idea of what is going on or what is being prayed in the liturgy. This is why much of the Mass, whether Solemn, High, or Low, is sung or spoken aloud, and this is why, in an age of near-universal literacy, daily missals are an excellent aid. My own spiritual life has been immensely nourished by years of following along in my missal, which, together with the singing, the postures and gestures, and simply watching and listening, has been an incomparable apprenticeship to the sacred liturgy, the Church’s school of prayer par excellence. Journalist pleads: "Can we please stop blaming journalists?" No "expressionless faces" from these pro-abortion activists ! Sorry, Bishop Galantino prefers to call it "interruption of pregnancy". 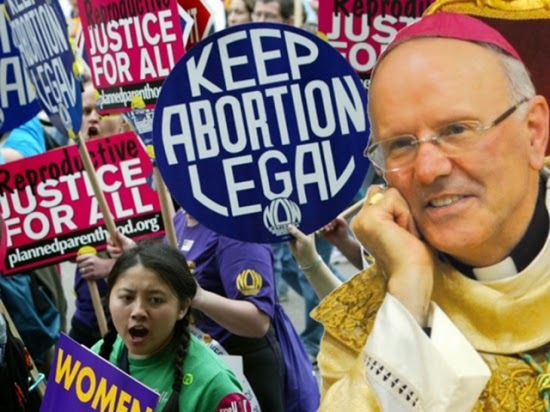 Bishop Nunzio Galantino, new Secretary-General and most powerful man of the Italian Episcopal Conference (CEI), gained instant worldwide fame in May when criticizing the "expressionless faces" of Catholics praying the rosary in front of abortion clinics. By ridiculing their faces, with which he does not "identify himself," he humiliates all those people who risk life, limb, liberty, and fortune for the simple "crime" of praying the rosary in front of the greatest symbols of degeneracy of our crumbling remains of civilization, the slaughterhouses of human beings known as "abortion clinics." Not that Bishop Galantino, first mentioned by us weeks ago, was ever found in front of an abortion mill, not at all. Now, in what one might call an exercise in the "intellectual acrobatics of shamelessness," he says he did not say what he indeed said. He offended millions of faithful Catholics, and now he claims he was offended! The gall! Thankfully, there are more and more boys calling attention to the nakedness of some of our new emperor-bishops - and one of them is none other than one of Italy's most respected religious journalists, Marco Tosatti, senior religious correspondent for major Italian daily La Stampa. Yes, even Italian journalists are getting pretty tired of journalists always getting the blame. The old game “it’s always the fault of the journalists” doesn’t work sometimes. Galantino, patches and holes. 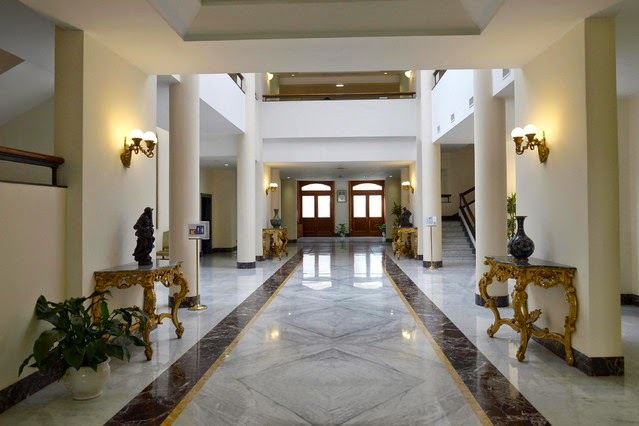 I am in a place where the connections to Internet are fleeting and discontinuous, and so I am only now seeing the news that Zenit reports an interview given by Secretary-General of the CEI, Bp. Nunzio Galantino, to monthly “Sempre”. A reliable source has informed us that a certain bishop in Germany is worried about the direction preparations for the upcoming Extraordinary Synod of Bishops on the Family are taking. The bishop is said to have claimed that supporters of Cardinal Kasper's proposals have taken steps (apparently successfully) to limit the involvement of the Cardinal Prefect of the Congregation for the Doctrine of the Faith. To understand why some have pushed Cardinal Müller aside, remember this. Meanwhile, the Journal Nova et Vetera has published a response to Cardinal Kasper's proposals by eight American theologians, seven of them Dominicans, and most of them professors at Pontifical faculties of theology. The response, simultaneously published in English, German, Spanish, French, and Italian, comprehensively refutes the innovations proposed by Cardinal Kasper, showing point for point how they contradict the perennial Tradition of the Church. 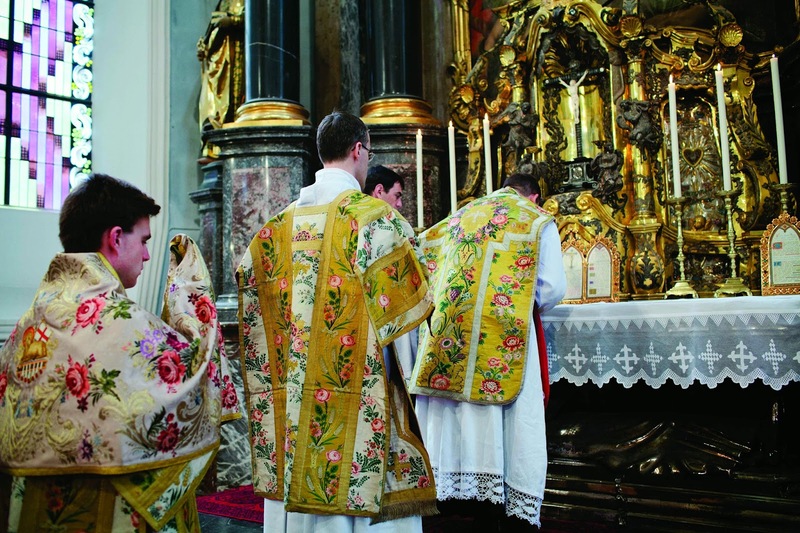 From Germany, a report that had been under embargo for weeks: the Priestly Fraternity of Saint Peter (FSSP), that already had a small presence in the Bavarian Capital, will have a permanent basis in the city - the second major world diocese to open up a permanent setting for the FSSP in just a few weeks time (the first having been Los Angeles). Further information will be posted on the FSSP Germany website. Our heartfelt congratulations to the FSSP, Fr. Jäger, and the local community! Our gratitude to the local Archbishop of Munich and Freising, Cardinal Reinhard Marx! On July 13, 2014, a historic event of huge significance for the future of the Traditional Mass in the largest Latin American nation took place in the Brazilian national capital city, Brasilia. 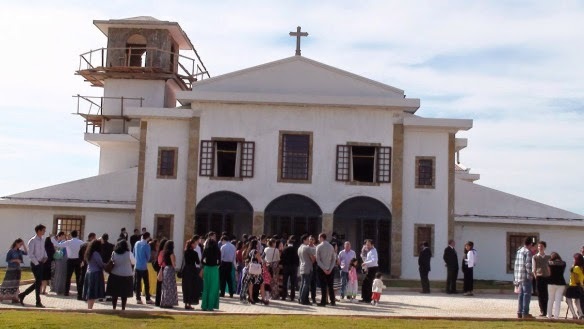 A brand new completely traditional Chapel was opened and blessed with the presence of Auxiliary Bishop José Aparecido Gonçalves de Almeida. The Chapel of Nossa Senhora das Dores (Our Lady of Sorrows / Our Lady of Dolours) is run by the Institute of the Good Shepherd (IBP), and the local priest is Fr. Daniel Pinheiro, who already celebrated the Traditional Mass in the city in loaned churches. 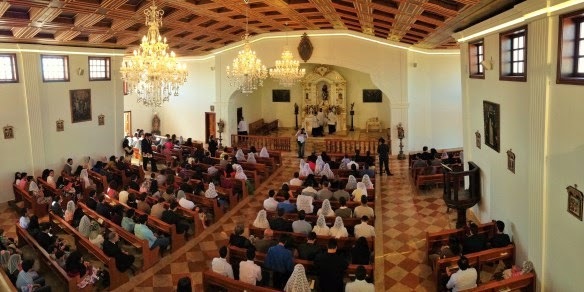 Now, the IBP has a full chapel and the ability to offer daily Mass - Sundays at 10 a.m. In the recent past, when we have linked to the Old (1907-1913/4) Catholic Encyclopedia, a very important work of reference for Catholics in the public domain, we have only been linking to and recommending the Catholic Answers version, available here as "The Original Catholic Encyclopedia". 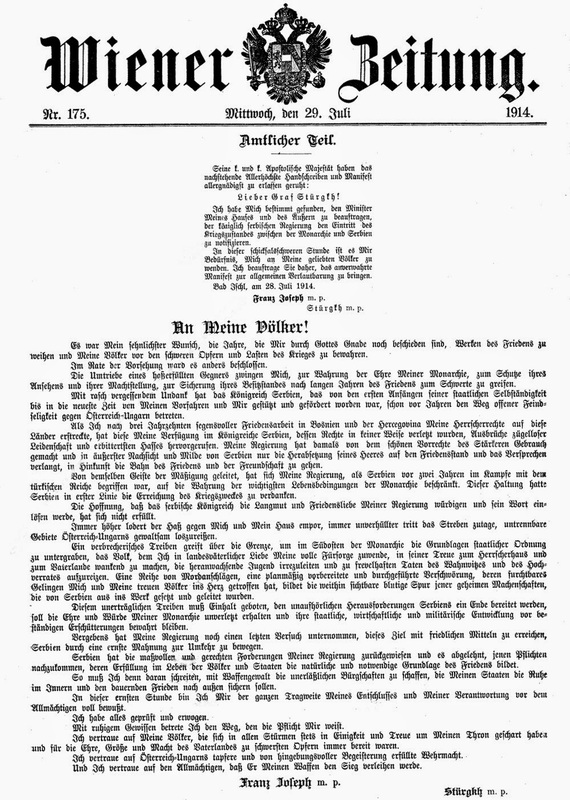 There are two main reasons: the first one is that each article includes an image of the scanned page of the original print version so that the reader may be able to verify by himself the accuracy of the transcript. There is, however, an even more important reason. Allow us to use as an example the essential article on Islam (or rather, on Mohammed and Mohammedanism), written by the great Mesopotamian-born American scholar and Chaldean Catholic priest, Fr. 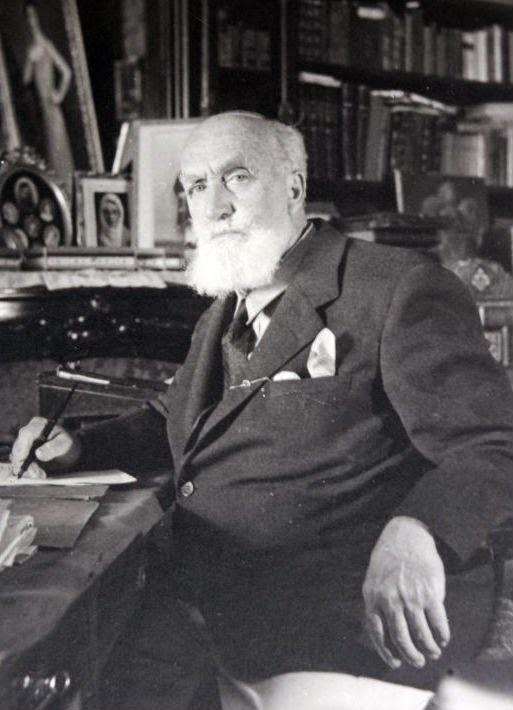 Gabriel Oussani, born in Baghdad and raised in... Mosul, both capitals of the respective Turkish Vilayets of Baghdad and Mosul, which, together with the Vilayet of Basra, would become the new Kingdom of Iraq after the Great War. In matters political Islam is a system of despotism at home and of aggression abroad. The Prophet commanded absolute submission to the imam. In no case was the sword to be raised against him. The rights of non-Moslem subjects are of the vaguest and most limited kind, and a religious war is a sacred duty whenever there is a chance of success against the "Infidel". Medieval and modern Mohammedan, especially Turkish, persecutions of both Jews and Christians are perhaps the best illustration of this fanatical religious and political spirit. Now, if you search for this article in the more famous online version of the Catholic Encyclopedia, this is what you get before you even start reading Fr. Oussani's words, that were based on a lifetime of personal experience of Islam as a Mesopotamian Christian: "To complement this article, which was taken from the 1910 Catholic Encyclopedia, New Advent recommends a prayerful reading of 'Nostra Aetate' from the Second Vatican Council." This is unfortunately not the only case in which such warning notes are present. Sorry, the Catholic Encyclopedia is a reference work that should be presented as close as possible to its original content. It is offensive and condescending to present that as a kind of "warning label", meaning, "now this is what the following unenlightened pre-Conciliar author thought about Islam, but first read the Conciliar text 'prayerfully' "-- supposedly, we gather, because Fr. Oussani did not understand what Mohammed and his religion were all about, unlike the Conciliar Fathers, and did he write this article 'prayerfully' anyway?... Owners can place notes wherever they want on their websites, but they must avoid interfering with the content of their works of reference, in particular the Catholic Encyclopedia, otherwise they render the reference work untrustworthy. For this reason, we insist in our recommendation of the "Original Catholic Encyclopedia" version of the work. It is a historical work, and should be presented and preserved as such. Fr. Oussani's article is a perfect example of the error of anachronistic editorial notes: Oussani knew Islam intimately, from his very first moment on this earth, in such a way that some Conciliar Fathers couldn't possibly express at a time (1960s) that we can now see was a very brief period of apparent Islamic calm and secularized Kemalist, Nasserist, Baathist, and Pahlevi regimes, even if some individual bishops certainly did know it well. This is what Nostra Aetate had to say: "The Church regards with esteem also the Moslems. They adore the one God, living and subsisting in Himself; merciful and all- powerful, the Creator of heaven and earth ... .Since in the course of centuries not a few quarrels and hostilities have arisen between Christians and Moslems, this sacred synod urges all to forget the past and to work sincerely for mutual understanding and to preserve as well as to promote together for the benefit of all mankind social justice and moral welfare, as well as peace and freedom." Really? What did that add to your knowledge of Islam and, editorially, to Fr. Oussani's article? The complexities (and double-games) of the Islamic world are a labyrinth for the “infidel”. It is a labyrinth that western reason, such as it now is, has never mastered, and that it cannot master now with hellfire missiles and unmanned drones. Wearied or sickened by all this? Yes. But it is the fate of the impotent western powers that is being determined by it. For the “jihad” is advancing in Syria to the eastern Mediterranean seaboard, while the muez­zin’s call to an increasingly ardent faith grows more insistent throughout the Islamic world. After the publication in the US in 2005 of my book The Losing Battle With Islam, [then Massachusetts Senator and current American Secretary of State John] Kerry rang me to discuss the arguments in it. When he became secretary of state I told him (with some presumption) that the non-Muslim world is too unaware of what is afoot, hobbled by its wishful thinking and lack of knowledge, and whistling in the dark. In a position paper I wrote for him, I set out a list of the failures that the west, and especially the US, has on its hands. Among them are the failure to recognise the ambition of radical Islam; the failure to condemn the silence of most Muslims at the crimes committed in their names; the failure to respond adequately to the persecution of Christians in many Muslim lands; the failure to grasp the nature of the non-military skills that are being deployed against the non-Muslim world – skills of manoeuvre, skills in deceiving the gullible, skills in making temporary truces in order to gain time (as in Iran); and, perhaps above all, the failure to realise the scale and speed of Islam’s advance. “If things continue like this,” I told friend Kerry, “the history of our age may one day be written under a caliphate’s supervision.” I added brashly: “Get your aides to read the Quran. Keep political correctors at bay ...”. ... [T]oday’s Islam is the most redoubtable adversary to the American imperium it has ever faced, the challenge of the Comintern included. To the aid of Islam has also come the betrayal by much of today’s left of its notionally humane principles, as Christians are assaulted and murdered (shades of what was done to the Jews in the 1930s) and their churches desecrated and destroyed from Egypt to the Central African Republic, from Iran to Indonesia, and from Pakistan to Nigeria.